Miss Teresa H. Drake, 85, formerly of Concord and Bow, died at Pleasant View Health Center in Concord on Oct. 30, 2018. She was born in Danbury on July 13, 1933, the daughter of Howard and Estelle (Huntoon) Drake. Teresa was raised in Danbury and graduated from the former Andover High School in 1951. 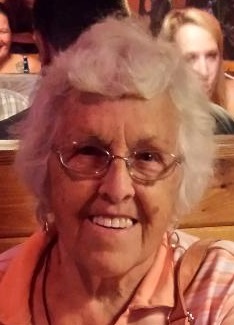 While she was a former longtime Franklin resident, she later was a resident of White Rock Senior Housing in Bow and recently to Pleasant View Center in Concord. She was known throughout the crafting community as “the white-haired lady that made beautiful crocheted snowflakes and angels” and had a following of loyal customers who would seek her out every year to buy more. Teresa was a 23+ year survivor of pancreatic cancer. After her persistence in getting a second opinion, she met Dr. Charles Catcher. Dr. Catcher performed the Whipple Procedure at Dartmouth-Hitchcock Hospital in Hanover. That procedure, the assistance from her beloved sister Claris and the Franklin VNA along with her strong determination and will to live after the surgery, provided her the opportunity to enjoy many more years of life. Her loving family hopes that Teresa’s success in battling cancer can encourage others with pancreatic or other types of cancer to never give up, to fight hard and that there is always hope. She was predeceased by her parents, her sister, Claris Dukette and her other siblings and nephews. Teresa is survived by her nephew James Dukette of Brandenburg, KY; a great niece Candy Burke and her husband Wayne of Concord, by a great nephew Shannon Dukette of Concord and other extended family and friends. A graveside service will be held at the Baptist Cemetery, School Pond Rd., Danbury on Friday, Nov. 2, 2018 at 1:00 pm. In lieu of flowers, donations in memory of Teresa may be made to The NH Assn. for the Blind, 25 Walker St., Concord, NH 03301 or to the American Cancer Society, 360 Route 101, #8, Bedford, NH 03110.